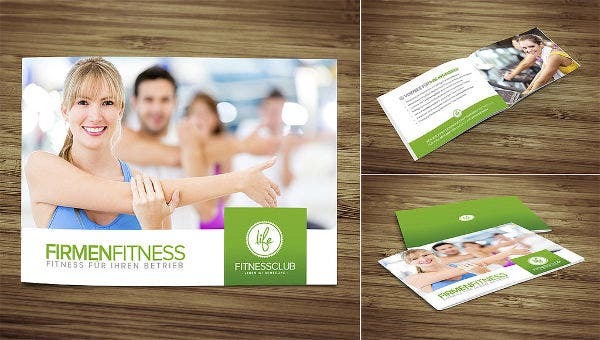 Searching for a place to input all information about your fitness center to be able to advertise worldwide? Do you need high-quality designs to build yourself a strong portfolio? You have come to the right place. 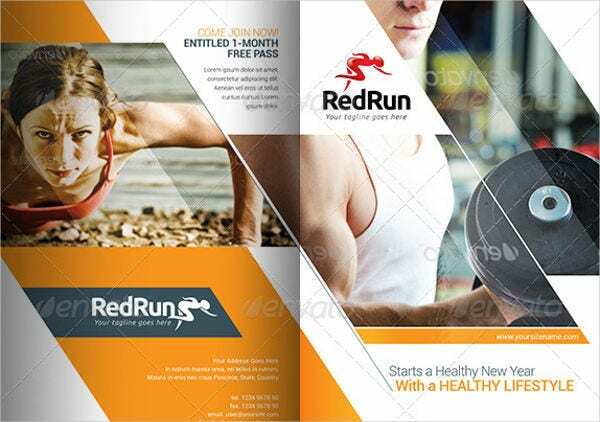 In our website, we provide for you some Sports & Fitness Brochures templates to choose from and use. In this day and age, there are two ways brochures can be distributed. The first is the traditional printed on paper and legwork, handing them out to people on the streets. And the second way is through the Web, as these brochures are electronically made and uploaded to different online platforms. 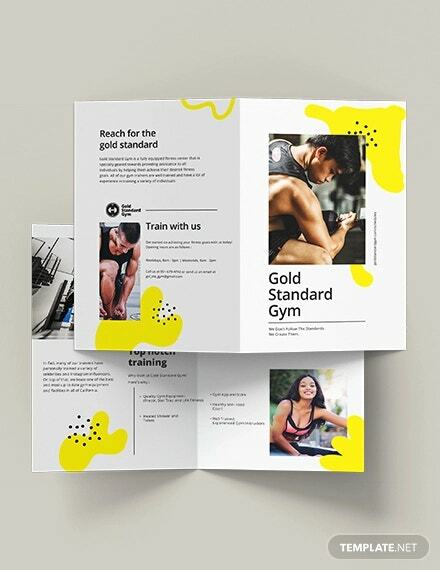 Whichever way you may want to distribute your own brochures, these templates can definitely help you. Physical fitness is a state of well-being. The ability to perform occupations, and daily activities. Physical fitness is generally achieved through proper nutrition, exercise, and enough rest. Being physically and mentally fit is important since it prevents diseases and illnesses. Being fit also allows you to perform tasks more efficiently and effectively. Fitness is an important thing to consider and should be put to mind. Which is why there are many centers offering fitness services or just informing the public about the advantages of fitness. 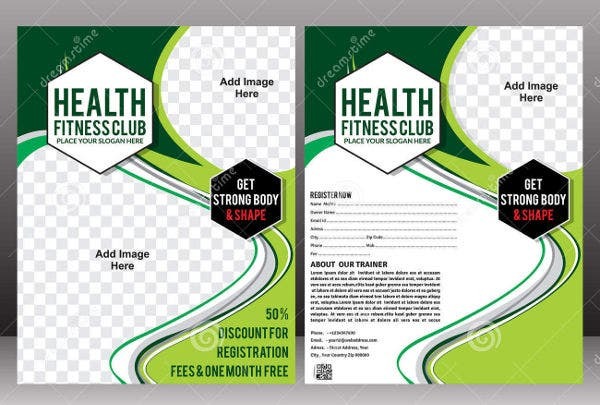 A brochure is a paper document, easily folded, containing information, used to educate, announce, sell, and advertise (where you can also check out our Advertising Brochure Templates). They are also known as promotional documents that introduce new-built companies and organizations to the public. 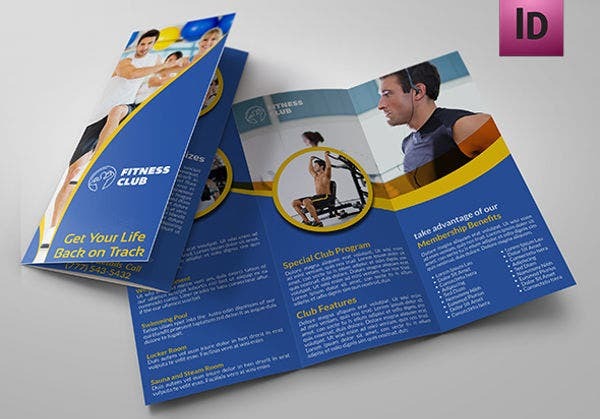 Brochures include images and complete information that may give people a good first impression of the services or goods being advertised. Brochures are portable and easily distributed. Brochures can reach a considerable number of people. Brochures are pocket friendly as most brochures these days are distributed online. Brochures are direct to the point since all the information the public need is condensed in the palm of their hands. 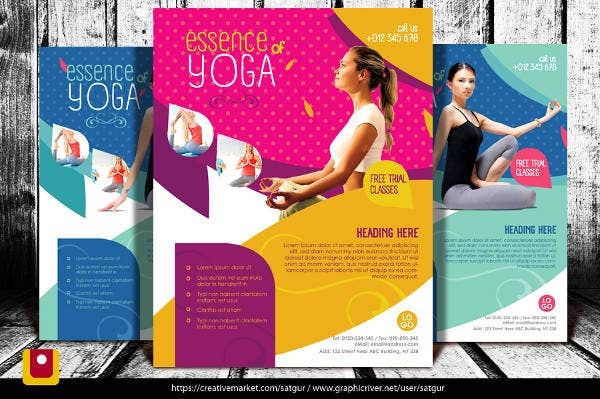 These advantages of brochures make them a gateway to a brighter and blooming future of businesses. Giving out brochures also ensures the company that all questions the public have, have been addressed by the brochure. 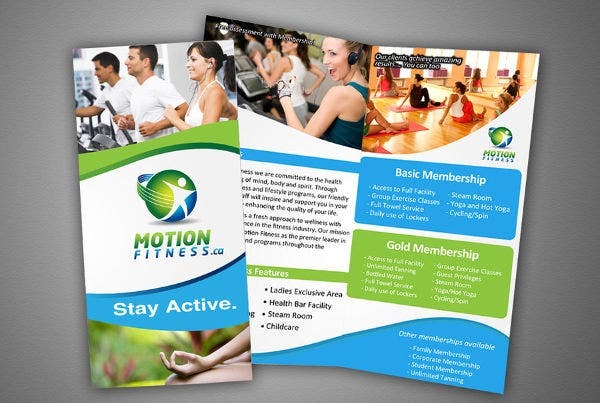 Brochures also work as a mini sales pitch to the recipient as this gives them an idea what services, programs, and plans your center offers. 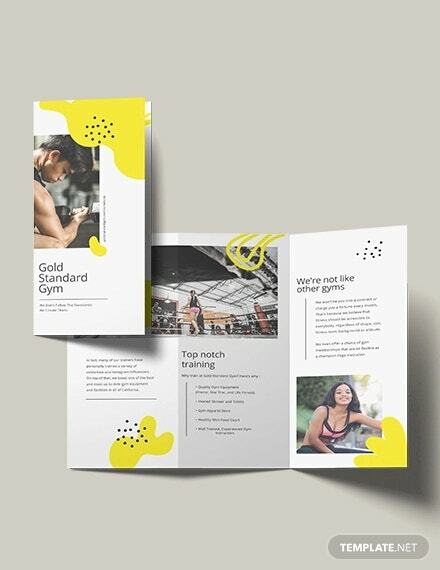 We have given you a selection of marketing brochure templates for you, and the next step is how to make them your own and personalize them. 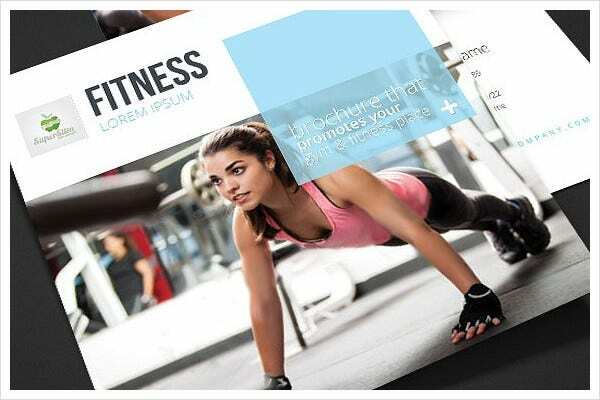 Here listed are tips on how to create a good quality brochure. Know the purpose and why they are needed—in this case, to increase your fitness center’s reach. Know appropriate designs to be used to represent your center. Limit your words—keep them precise. The more concise the information, the quicker the reader goes through it. Create a striking headline to capture reader’s attention. Use simple and easy-to-understand words. Limit and use appropriate images that show your center’s offerings. Our templates are easy to use and saves you your valuable time. 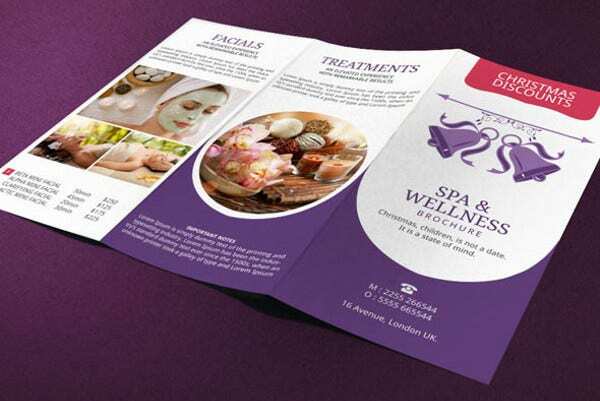 Our templates can aid you in making accurate brochures. Our templates are attractive and creative. 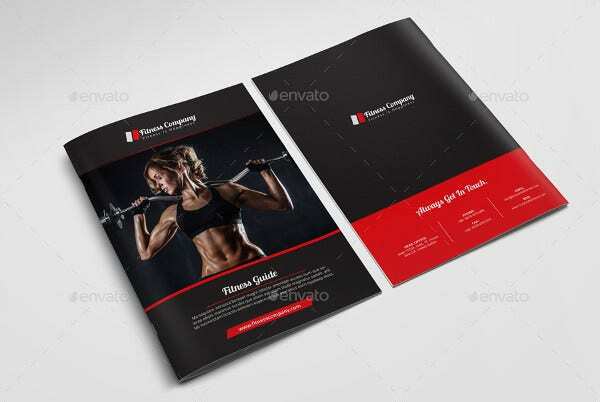 Our templates are products of intensive market research aimed at one thing: promoting your endeavor. Check out also some of our Corporate Brochure Templates and they may help you as well.